Have a good one and thanks for visiting my blog! 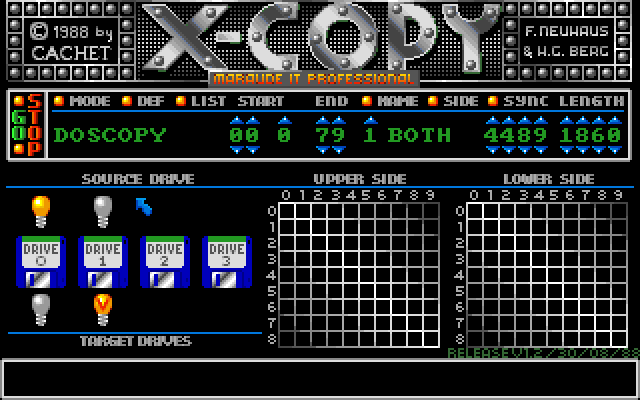 I spent many an evening staring at that all-too-familiar screen, the sound of the disk drive crunching away, preparing disks to take into school the next day. Funny thing is, I wouldn’t think of pirating a game now, but back then it seemed so acceptable and as kids we never thought about the effect it was having on the industry and the developers. No doubt rampant piracy played a part in the eventual downfall of the Amiga; I read somewhere that piracy rates were as high as 20:1 back then. Hi mate and thanks for the comment. 🙂 Yes, things have changed when it comes to piracy. I’m glad that people buy games and support developers these days. The piracy on the Amiga and C64 was enormous and kids did not think about the people behind the games and software, but it was a different time for sure.